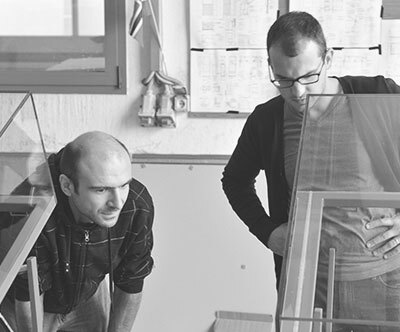 In spite of our youth, the Archa Inženiring team owns valuable experience, mostly from metal-work industry. As a team, we have gained our experience from the field of museum equipment through many years in greater projects, which we mutually created even before establishment of the Archa Inženiring company. Our professional knowledge has been perfected within numerous planning projects and production of museum equipment in England, Ireland, Portugal, Spain, Germany, Slovenia, Switzerland, Bosnia and Herzegovina, Macedonia and Greece. We gained especially valuable professional experience in many years of professional cooperation with internationally renowned expert for planning and production of museum equipment Wlodek Stopa, the founder of the German studiostopa office. Do you want a unique display case? Archa Desing Studio is an infinite source of ideas.